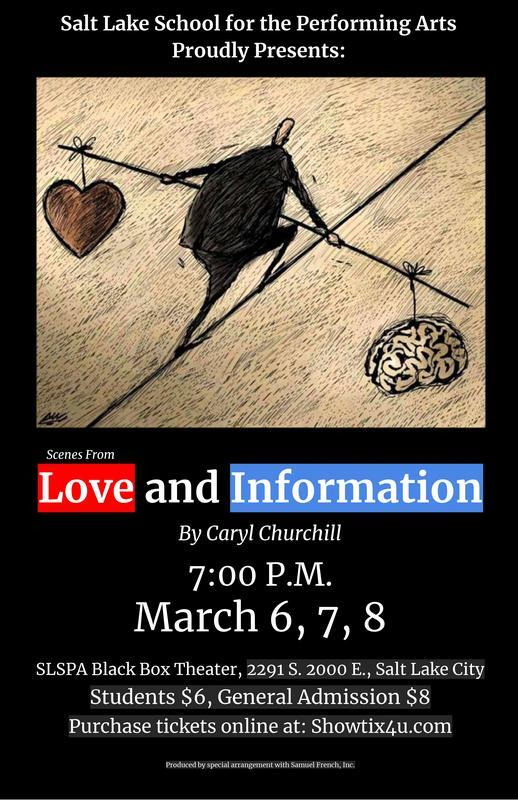 Don't miss the SLSPA performance of "Love and Information" by Caryl Churchill, March 6-8 at 7PM in the SLSPA Black Box Theatre. Tickets are $6 for students and $8 General Admission. Purchase Tickets online at Showtix4u.com.